Los Angeles legends the Red Hot Chili Peppers have announced plans to perform in Giza, Egypt at The Great Pyramids of Giza on March 15, 2019. The event is orchestrated by Travco Group in collaboration with Nacelle. 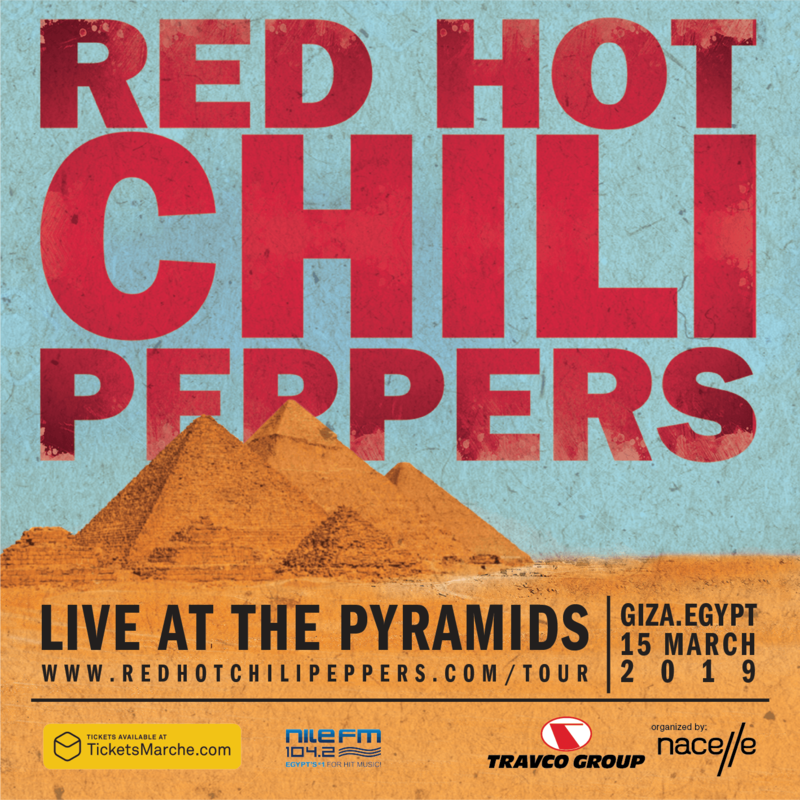 This will be the first time RHCP have performed at the Great Pyramids. RHCP will join good company as they wont be the first band to perform in this majestic location. The Grateful Dead had a legendary performance at the same location in 1978, and the instrumentalist Yanni filmed a concert video at the location in 2015. As for recent news, on October 13, 2018, Anthony Kiedis announced that Red Hot Chili Peppers will release a new album in 2019. Tickets will be available Friday, January 18th at 8 a.m. local time here.